I developed this recipe when writing a piece about Carob Molasses. The inspiration for the combination is thanks to the wonderful Beiruti blogger, Joumana Accad, author of tasteofbeirut.com. 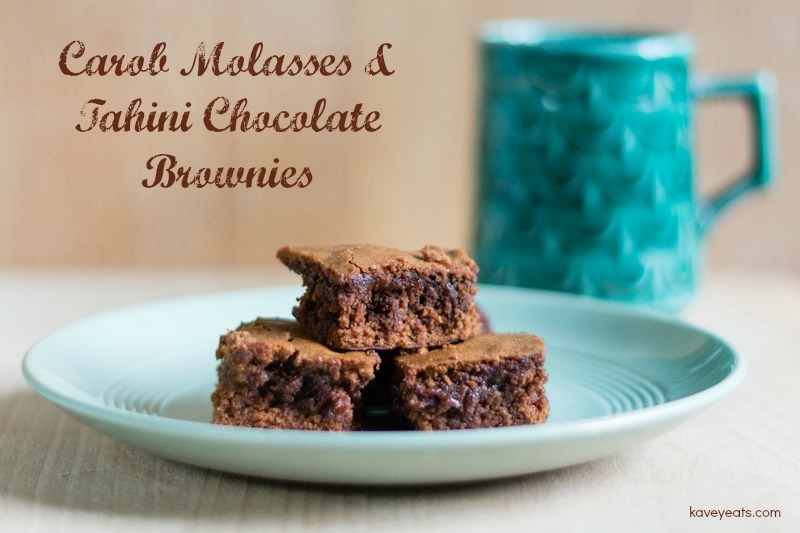 The malty caramel flavour of carob molasses and the delicious sesame of the tahini work wonderfully with chocolate and make for a delicious, unusual chocolate brownie. If you’ve never tried the combination before, its well worth seeking out carob molasses from your nearest Lebanese, Turkish or Greek specialist store to make it. Combining the classical flavours of debs bi tahini (carob molasses mixed with tahini) with chocolate in a rich, fudgy brownie. Tip: For the sugar, carob molasses and tahini I suggest weighing these directly into the mixing bowl as you reach the steps where they are added. Other ingredients are best weighed out ahead. Equipment: I use a stand mixer to make the batter but you can use an electric whisk or beat by hand, if you prefer. This recipe is for an 8 inch / 20 cm square baking tin. Preheat oven to 180 °C (fan). Line a 8 inch / 20 cm square baking pan or dish with parchment paper (or grease with butter), and set aside. In a large mixing bowl or stand mixer, beat the eggs and sugar until well combined and a little frothy. Add the carob molasses and beat again to combine, then add the melted butter and tahini and mix until smooth. Combine dry ingredients (flour, cocoa powder, baking powder and salt) and add to the mixing bowl. Beat until dry ingredients are thoroughly incorporated; if using a stand mixer or electric whisk, start at the lowest speed and increase once most of the flour mix is folded in. This stops the dry ingredients flying out of the mixing bowl! Transfer the batter to the prepared baking pan. Use a spatula to spread it evenly into the corners and create a reasonably smooth surface. Bake for 20 minutes for a fudgy texture or 25 minutes for a more cake-like finish. Remove from oven, leave to cool in the pan for a few minutes, then lift out onto a wire rack. Baking parchment makes this task easier, as you can grab the paper at the sides and lift the entire cake up and out. Once cool, transfer to a chopping board and cut into squares. An 8 inch / 20 cm square tin divides nicely into 6 x 6 brownies. These brownies will last for up to a week in an airtight plastic box. 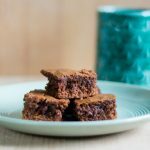 34 Comments to "Carob Molasses & Tahini Chocolate Brownies"
I adore tahini, such a distinct flavour isn’t it? I image it gives these brownies a beautiful depth. Have pinned this for next time my baking need strikes! Delicious flavour, yes plus the tahini of course! Carob and tahini are classic and fantastic together and just work so well with chocolate. oooh this is very nice indeed! I also tried it, with blood orange juice and tahini. Gorgeous stuff! I’ve also tried Yottam Ottolenghi tahini and helva brownies, but preferred Joumana’s. Thanks Ana, mine is a different recipe, but the idea came very much from Joumana (with her permission to take it as a starting point and develop my own version, of course). Oh my Kavey those look good. A big piece for me please! Stumbled, tweeted and pinned. Thank you Jacs, and for sharing! Anything with tahini is a winner! These brownies look delicious, yum! Thanks Florian! Agree, tahini is just so damn delicious! This looks really good! 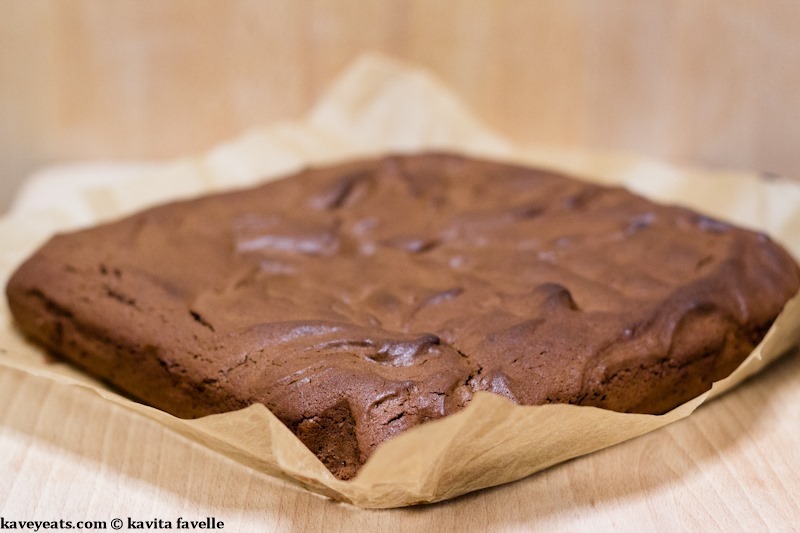 I don’t bake very often but brownies are a big favourite when I do, so I may just try this one. Thanks Fiona, definitely worth a try. I think people associate the word carob with healthy or chocolate substitute but that’s recipes where carob powder is subbed for cocoa, these are definitely rich and super tasty, not healthy alternatives! I’ve never heard of carob molasses before so thanks for introducing me to it, will have to see if I can get hold of some. These brownies look deliciously fudgy and I like the addition of the tahini too. I would say if you can’t find carob molasses you could use regular — they are not super sweet like treacle, more a little sweetness and a fair amount of acidity too, with their unique flavour of course. These sound delicious,,, would love to try them…. Thanks Karen, hope you get to make / try them soon. Thanks Camilla, they’re very tasty and the sesame works so well with chocolate, much like hazelnut does! I’ve never heard of carob molasses before. I must find some. We have an international store not too far that specializes in Persian, Greek, and some Chinese foods. I wonder if they will have this. I’ll have to check. I bet these are great with that tahini as well. There’s an intro to carob molasses at the link in the introduction. They are somewhat like other fruit sugar molasses, with a caramel flavour from the reduction and an acidity to balance the sweetness. You may well find it in one of those stores. Hope you can track some down! Thank you Joanne, it’s a really delicious combo! Oh my gosh! These look absolutely delicious. What a fascinating combination. 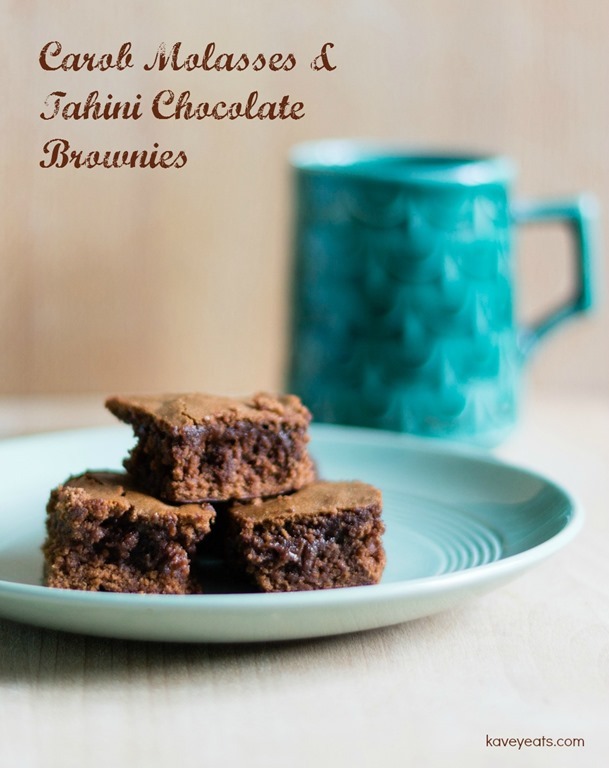 I wouldn’t have thought about putting tahini in brownies. I think I’ll have to go on a search for carob molasses – I doubt I have much chance of finding it in my former pit village! I hope you can find it. If not, you could experiment with other molasses, date or pomegranate. You may need to adjust amounts though as I imagine sweet/ sour balance may differ in each type of molasses. I’ll admit when I think of carob I think of “chocolate” for pooches lol!!! These look delicious though. Haaa, yes it’s often treated as a chocolate substitute but I like using it as an addition for flavour here. So moist and so delicious! Hi! Can i try those without sugar?